My research focuses on African political institutions, democratization, and political development. 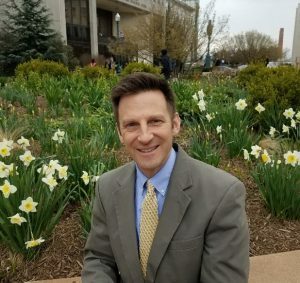 I teach courses on African politics, comparative politics, and political theory at American University in the School of International Service. My 2018 semester at Ritsumeikan University opened my eyes and ears to Japan. My last two books were both about Nigeria. One is a collection of 44 original essays, The Oxford Handbook of Nigerian Politics, co-edited with Patrick Ukata and published by Oxford University Press. My 2019 book explains how Nigeria’s ruling party lost in 2015. It traces the decline of the People’s Democratic Party to elite deals struck during the 1999 transition to civilian rule. Using survey data, a content analysis of 2,390 newspaper articles, and interviews in ten of Nigeria’s 36 states, I empirically examine the content of party campaigns, voting patterns across states, and the motivations of individual voters. Click here to watch a video discussion about the book, hosted by the Center for Strategic and International Studies in Washington, DC. 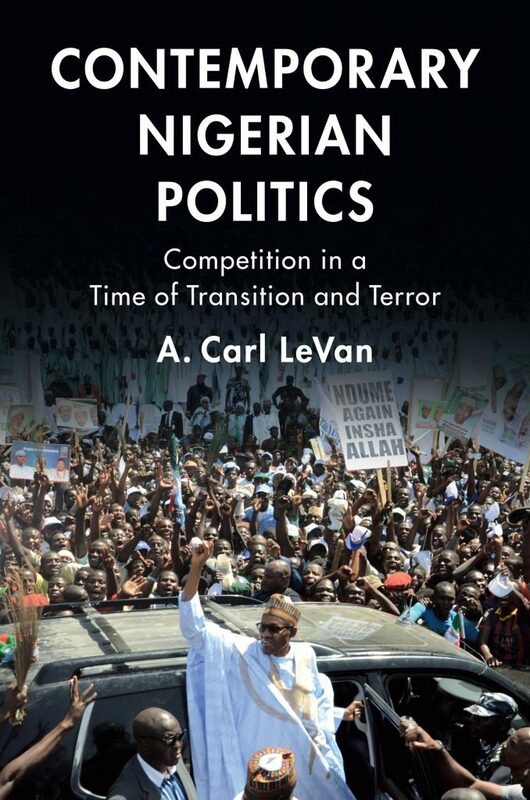 And click here to buy Contemporary Nigerian Politics: Competition in a Time of Transition and Terror, available in paperback from Cambridge University Press. Finally, you can read more here about the data and my analysis here. I have provided analysis and commentary on Nigeria as a guest on the PBS Newshour, NPR’s Diane Rehm Show, MSNBC, Canadian TV, BBC, Al Jazeera, Amy Goodman’s Democracy Now! and other programs. I am a founding member of the African Politics Conference Group, a professional association that organizes panels at the annual conferences of the African Studies Association, the American Political Science Association, and at other academic meetings. 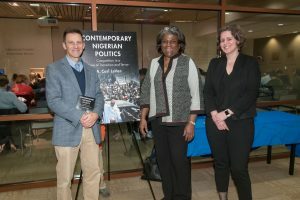 Photo with retired Ambassador Linda Thomas-Greenfield, and Jennifer Amur of the Washington Post, at the book launch hosted by American University. In 2017 I published a book with Todd Eisenstadt and Tofigh Maboudi about constitution-making, entitled Constituents before Assembly: Participation, Deliberation, and Representation in the Crafting of New Constitutions. In this global study of all new constitutions since 1974, we demonstrate the positive effects of participatory constitution-making on democracy. Specifically, we show first how participation is especially important at the earliest stages of crafting a new constitution. Further, drawing on field research from three continents, we show that participation is not endogenous to previous regime types (democracy or dictatorship). Click here to buy a copy.